Hello everyone! To all of my beautiful followers, I apologize for my long absence. With two little ones at home, things do get busy and time just seems to be slipping away. But there hasn’t been a day where I haven’t thought about blogging! Having said all of that, thank you for your patience and I do hope that you’re enjoying my blog so far! This recipe is especially dedicated to Yousra! She has asked for it quite a while ago and I had promised I’d post it. So here it is girl! Preheat oven to 350°F. Prepare two 9” round baking pans with oil and/or parchment paper on the bottom of the pans and set aside. 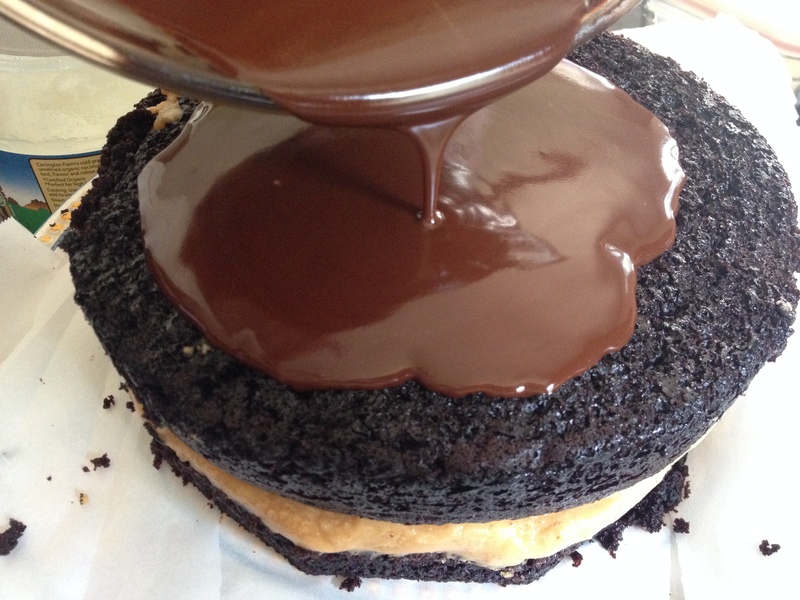 Note: I’ve made this cake a few times using smaller 8″ cake pans and achieved a 3 and 4 layer cake! Feel free to use what you have and have fun doing so! 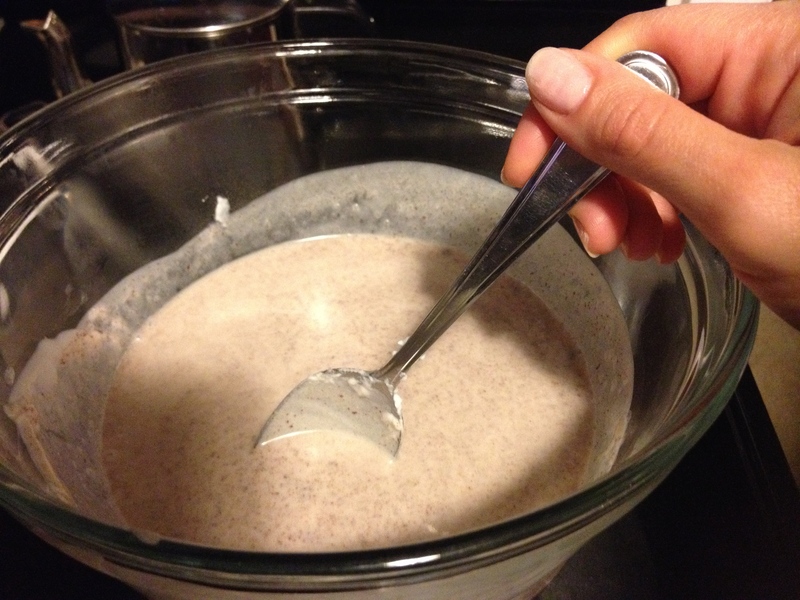 Start by combining flour, sugar, cocoa, baking soda, baking powder, and salt in a stand mixer fitted with a paddle attachment (or in a large bowl with a hand mixer). 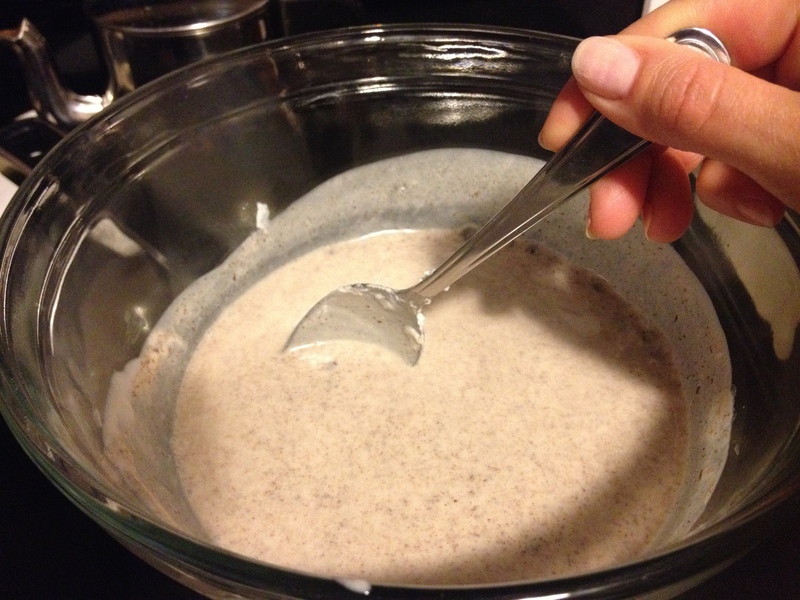 In a small bowl, combine ground flaxseed with the water, and whisk until frothy. Add flax mix, milk, oil, and vanilla. Beat on medium speed for approximately 2 minutes then on medium high for another 2-3 minutes. Next and being careful, reduce speed to medium low and slowly add the water to the mix and combine until fully incorporated. Note: your batter will be thin so don’t panic! Then, do your best to divide the batter evenly amongst the prepared pans. Bake for 30 minutes, or until a toothpick or knife inserted in centre comes out clean (the usual stuff)! Note: depending on your oven, check the cakes at 25 minutes for doneness. If you feel it needs more time, leave it in for the extra 5 minutes. Cool cakes in the pans for approximately 15 minutes before inverting them onto wire rack to cool completely. While you’re waiting for your cakes to cool, prepare the filling. Using the whisk attachment, combine the oil or spread with the peanut butter on medium high speed for about 2 minutes, until nice and smooth. Add icing sugar a cup at a time until incorporated. 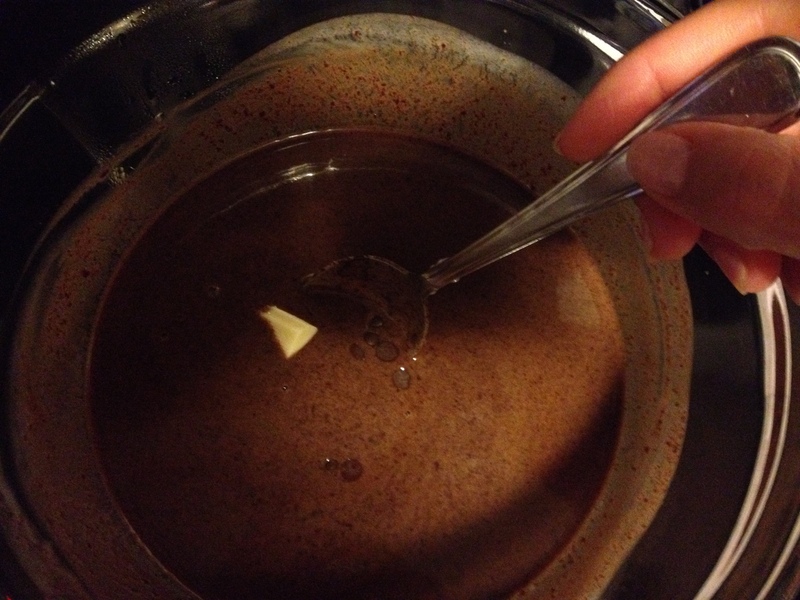 Add milk and vanilla and whisk for a few minutes (4-5 minutes) until filling is beautifully spreadable. 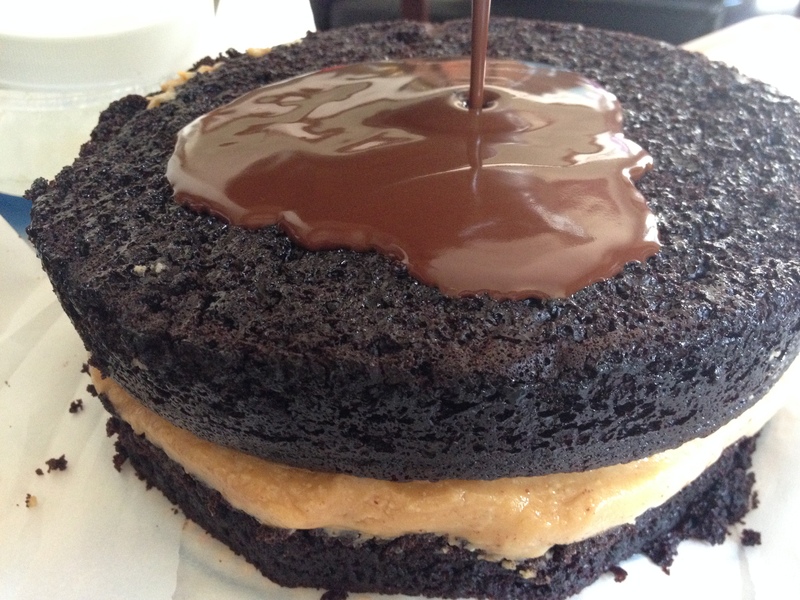 Spread peanut butter filling onto cooled cake layers and enjoy! 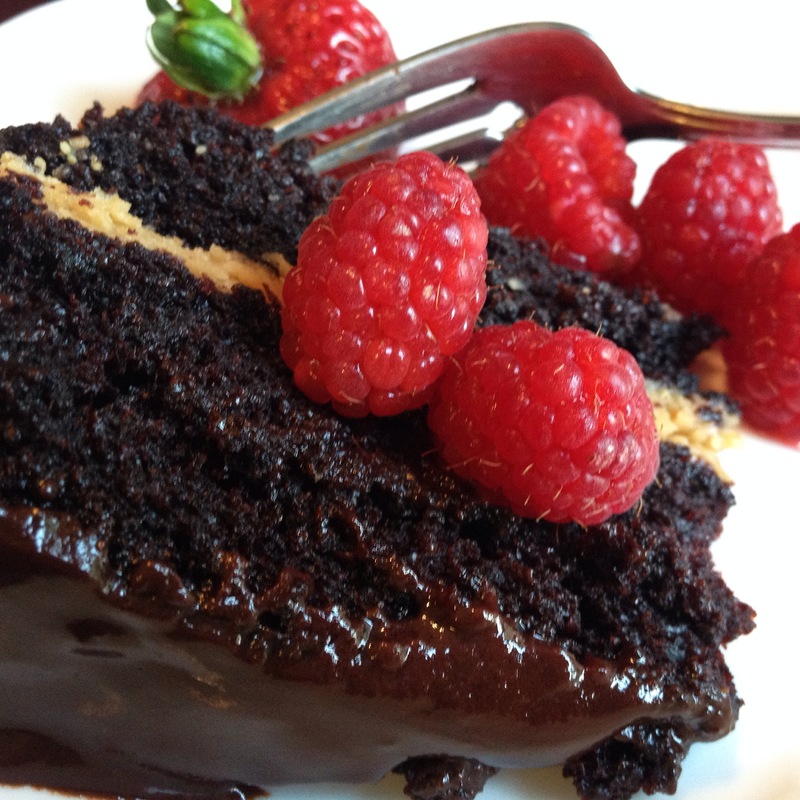 Top off with chocolate ganache. 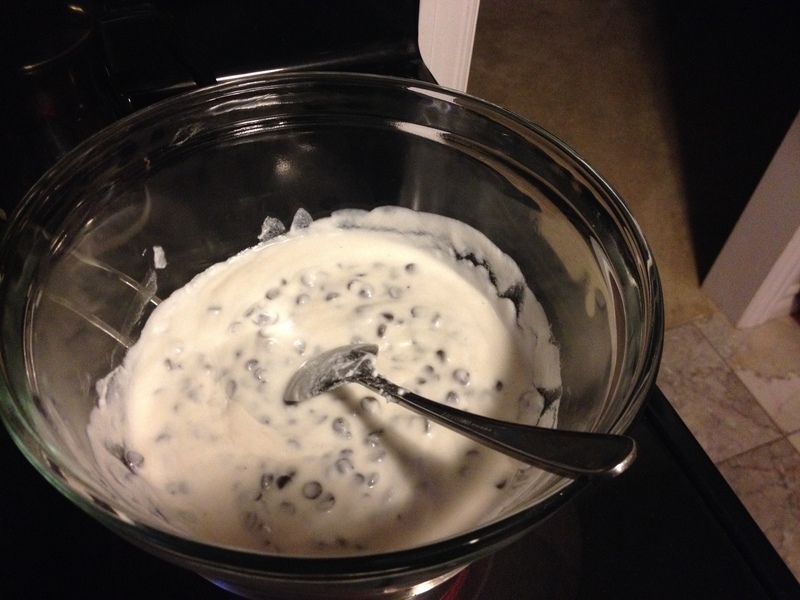 Using a double boiler* combine the chocolate chips and coconut milk until melted and silky smooth. Alternatively, you can melt the chocolate first then add your milk and stir. Note: *If you don’t own a double boiler (most of us don’t), use a glass bowl over a pot with simmering/gently boiling water – ensure that the water doesn’t touch the bowl..so don’t put too much in the pot. 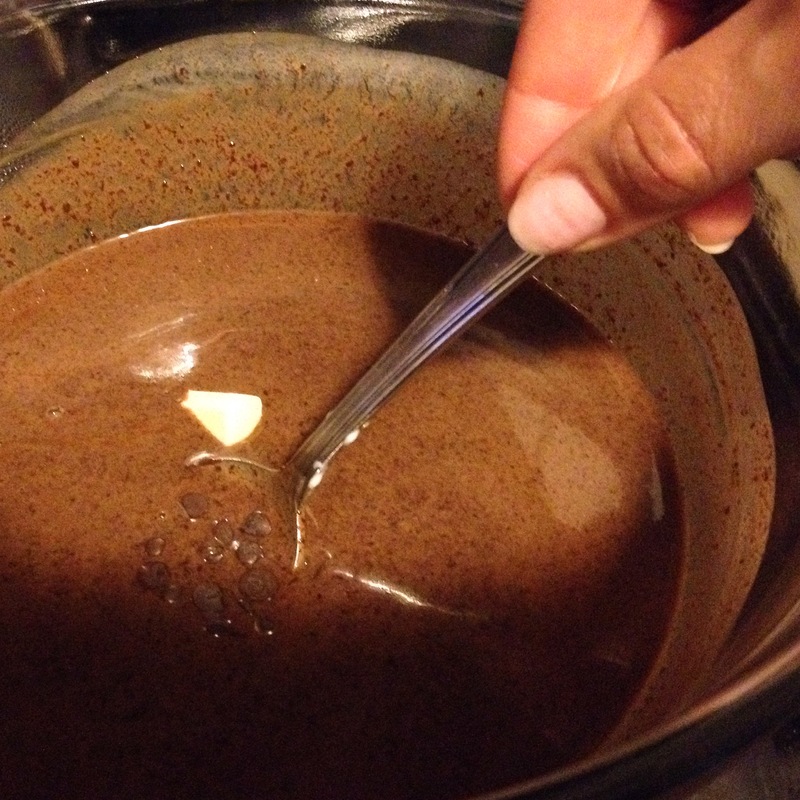 You want just enough to create a rolling boil to steam and melt the chocolate. Add the vanilla and continue stirring. 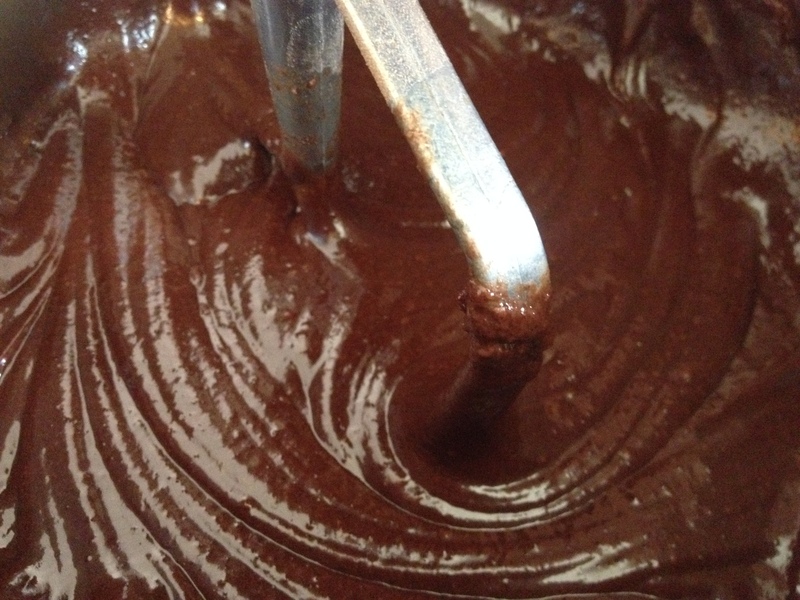 If you have cacao butter, add it once the ganache starts to come together. Once all the ingredients have come together, your ganache is ready to use on the cake and whatever else your heart desires! Think fruit dip, with bread, cupcakes, the possibilities are endless! Garnish with fresh berries and enjoy! My pleasure and thank you for your patience :) Hope it turns out perfectly for you!